← More Teasers for Lee Da-hae’s Drama “Good Witch” Released!! SBS has opened the official page for “Good Witch” and seems the official English title will be “Nice Witch” so I guess I will use that from here on in my posts. And yesterday they posted complete characters list and description along with the characters posters. From the main plot posted, seems it asks questions like “Can a good person really live in modern society?” and “Is it good to become a world where bad people can live well?“. It wants to convey a story in which good people become heroes. The hero of this story is a “Cha Sun Hee”, a kindhearted housewife who is an expert at cooking and housekeeping. To make a living instead of her unemployed husband, she takes care of the daily lives of a hundred households. She is lovable and always have a smiling face but has a timid nature, always repeating “What should I do?” but when it comes to helping others she is bold and always takes the initiative. One day Sun Hee receives a visit from her twin sister “Cha Do Hee”, who looks exactly like her but opposite in character. Do Hee is a very cold women who is always emotional, cynical, stone-like and selfish. A person who you would a “witch”. In this visit Do Hee says “Sister, help me!”. Do Hee who is a flight attendant was caught up in a big conspiracy because of her own greed and seems she will ask Sun Hee to replace her in doing something but Do Hee gets into an accident, loses consciousness and falls into a deep sleep and no one knows when she will wake up and from there Sun Hee have to keep on living a double life. Working in the same airline company as Do Hee, there is Woo Jin the ace pilot in the company who love reading and may read thousand of books and always aims to be the best whenever he starts something. He takes a decision to only live for himself and keep his distance from all women who would might stir up his feelings. The airline company youngest son is Tae Yang who is cheerful, simple, lovable and cute who have traveled around the world. He talkative and always curious which usually gets him in troubles. He and Woo Jin are enemies since Woo Jin doesn’t know how to deal with people. 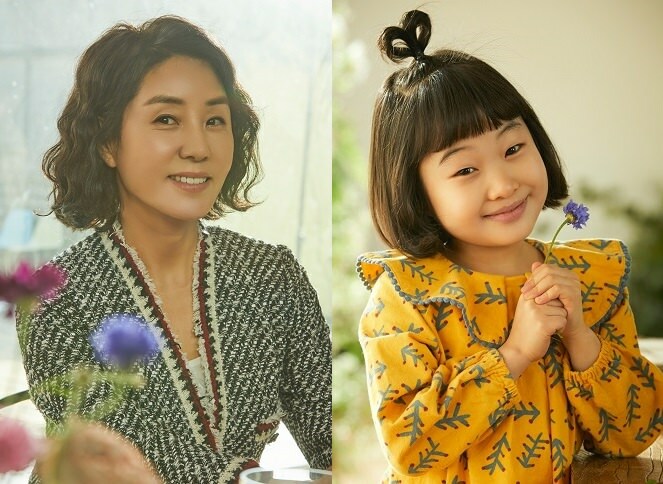 Woo Jin’s mother, Gong Joo is cute, charming and lovable housewife who never knew hardships but her life’s biggest misery is her son’s decision to not get married so she start putting plans to get him married. So she decided to opened a shared house in which men and women will live together with her son and started recruiting house mates. When Do Hee knew about it, she decided to live in the shared house but since she gets into accident, Sun Hee end up living there in her place instead. Sun Hee, Woo Jin and Tae Yang start living together in the house and both men find themselves getting attracted to Sun Hee. On the other hand, Sun Hee’s husband Cheon Dae is a brilliant speaker but quite senstive and can’t control his emotions and that cause him trouble whenever he gets a job so he keeps changing jobs and ended up losing his job at the end. So he gave up on that and became unemployed and just spends his time on SNS. He shows affection to his wife and both love their family. Sun Hee’s mother in law Ok Jung can’t control her anger and emotions. She treats her son and her daughter as prince and princess but treat Sun Hee as a maid and this makes life even harder for Sun Hee. Seems Ok Jung was classmate with Sun Hee’s mother in school but she was jealous of her as she was hated and Sun Hee’s mother was loved and was the class president. Sun Hee’s sister in law Cheon Ji also treats Sun Hee as a mate and always wanted to be a flight attendant so she got some PS to fix her face and succeeded to work at the same airline company in which our story takes place in. The twins mother is Moon Sook who was married to a brave police officer, lived in love, gave birth to he two daughters and had an easy and happy marriage and life. However she lost it all when due to her husband’s wrongful death and was left suffering of poverty. She is always worried about Sun Hee who is more like her father and she kind of hope that Sun Hee can have a good life like Do Hee. Sun Hee’s daughter is 7 years old Cho Long who is Sun Hee’s guardian angel. She became her mother’s alley and the one who knew from the beginning about her double life. Soo Hyun who is operating a restaurent, was a friend of Sun Hee’s husband Cheon Dae in collage. She married a rich man but still didn’t forget about her love for Cheon Dae. She is a selfish woman who wants to both keep her life style and not lose her love. Ye Bin is a stewardess at the airline company who graduated from Seoul National University. Her grandfather was prime minister and her father was a parliament member. She is the only person who accepts Do Hee but at the same time she is threatening Do Hee’s position. She looks like a cute girl who does her job well but the truth is that everything about her is a lie as her secrets are revealed one by one. I tried my best in writing this from what I understand using online translators but that means there is high possibility of mistakes. Also there are other characters but I choose to focus more on the ones who are more related to our heroine. I do like the sound of the characters but still my worries remain regarding the execution and how the portrayal of such characters will be. Also I am still confused on how our heroine will be able to handle this double life as she lives in the shared house since she is having a husband and a home herself and how she will handle the interest from the 2 men in our love triangle without giving off the feeling of betraying her husband. And if the couple do have affection for each other, won’t the other love lines will be meaningless or are they going to make him have an affair with that past collage friend? Honestly that is usually lame card to play with. Also we got SBS releasing the first official stills from the drama for Da-hae as both Sun Hee and Do Hee in what they called “fateful moment” that will decide the twins separate futures which was filmed on the 7th of January at Bucheon University. And in the reports we got to know Da-hae’s own thoughts about taking this project and the challenge to do a duel role in her first Korean drama comeback after 4 years.